In 2009, we established the Be Like Junior Associate Program so that all of our associates could be trained and coached to follow the example of Marion “Junior” Smith. 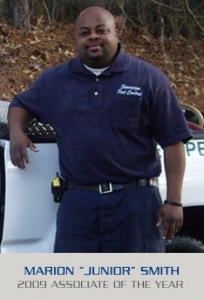 Junior is a pest control technician in Atlanta, GA. who has set high standards for customer service. 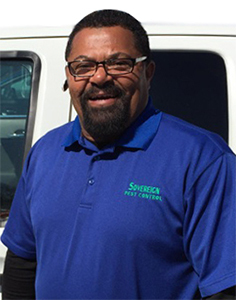 Junior has a reputation for providing friendly and professional service and he is often requested by customers in the Atlanta area. As part of the Be Like Junior Program, we evaluate and grade associates based on customer service and the benchmark set by Junior. Junior was voted the Southern and Sovereign Pest Control Associate of the Year in 2009. He won this award because of his reputation for outstanding customer service. In 2009, more than 300 customers contacted our company to praise Junior and request him as their technician. The Associate of the Year award recognizes an exceptional associate who has made a positive impact on our company. Associates often win this award because of their dedication to customer service and for striving to Be Like Junior. We want your feedback. Please visit our Testimonials page and complete our feedback form to tell us about your own customer service story. Jared Fogel is the Southern & Sovereign Pest Control Associate of the Year. Jared has been selected because of his outstanding performance as the Operations Manager for our Richmond location. The Richmond Location has at least 10 technicians during busy season. We consistently receive positive feedback and compliments on the Richmond technicians. In addition, Jared has a good reputation for technical expertise and customer service. The Southern and Sovereign Pest Control 2015 Associate of the Year winner is Meagan Becerra. She is being recognized because her hard work in learning our new software so that we could redesign the Dispatch Department. The software was developed so that appointment and chemical information could be updated real time in our system. We did this in order to obtain real time detailed appointment information, track chemical usage, e-mail service tickets, and establish the framework for our technicians to enter their appointment information via a mobile device. As part of this process, Meagan was asked to learn the software so that she could train other associates and manage the system on a daily basis. 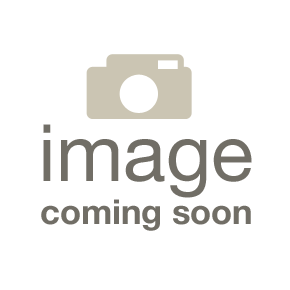 Her dedication helped to make the software development installation a success. Congratulation to Foster Carroll for being selected the Southern and Sovereign Pest Control 2014 Associate of the Year. Foster is being selected because of the outstanding performance of the Atlanta office during 2014 and the last several years. Foster has provided outstanding leadership to his technicians and he deserves a great deal of credit for the success of our Atlanta offices. 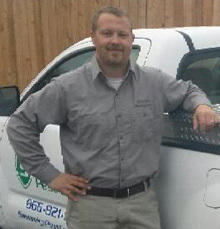 Andy started with our company in 2003 as a pest control technician and was promoted to the position of Operations Manager in Houston, TX in 2007. 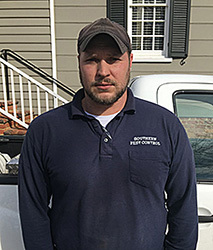 During his career with Southern & Sovereign Pest Control, Andy has established a reputation for customer service and technical expertise. As per the spirit of the Be Like Junior Program, Andy has received numerous compliments and requests for service from our customers.